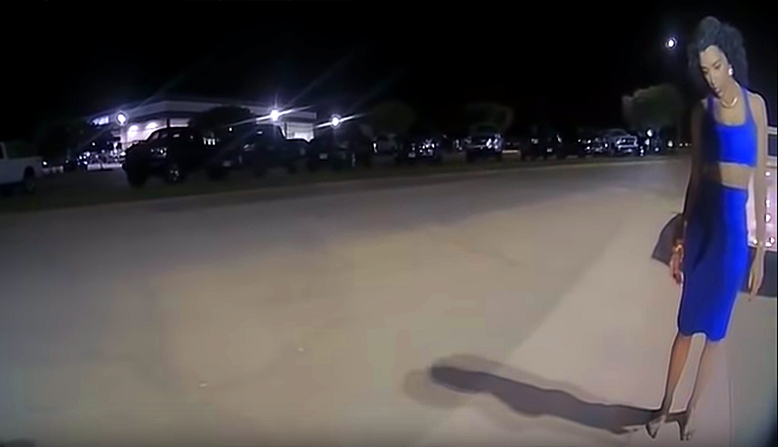 The lawyer for a lady who accused a Texas Highway Patrol trooper of sexual assault has apologized formally after body-camera footage showed the accusations were lies. According to the Texas Department of Public Safety, a Texas Highway Patrol trooper made a traffic stop at 1:32 a.m. on May 20. The trooper, Officer Daniel Hubbard, spotted a 2013 Chevy Malibu heading south on Interstate 35 in Ellis County near U.S. 287 in Waxahachie, Texas. The car was driving on the shoulder, so he decided to pull it over. The driver continued for another three to four miles before finally acknowledging the flashing lights and coming to a stop. After talking with the driver, 37-year-old Sherita Dixon-Cole, Hubbard deemed her to be intoxicated. Hubbard administered field sobriety tests, and then placed Dixon-Cole under arrest. While this was happening Dixon-Cole’s fiancé drove up—Dixon-Cole had called him as soon as she saw the flashers. Hubbard was kind enough to let Dixon-Cole speak with her fiancé, and made extra trips to her car to get things she wanted. He then went out of his way to make sure the rest of her valuables went with the fiancé instead of staying in the car, which was headed to the impound. All in all, a routine traffic stop. Until New York-based internet advocate Shaun King got involved. The post then claimed that Hubbard made sexual advances, both verbal and physical. King went on to claim that Hubbard threatened to shoot Dixon-Cole’s fiancé and plant a gun on his body if she told him what had happened. King claimed in graphic detail that Hubbard sexually assaulted her on the way to Ellis County Jail. King recounted with seeming precision everything Hubbard said—the threats, the lewd remarks—and everything he did, before finally taking Dixon-Cole to jail. One small problem—every word of it was fiction. The Texas Highway Patrol issues body cameras to its troopers. Also, their cruisers are equipped with dash-cams. Every action of every officer is recorded. Most people think of police body-cameras as devices designed to keep police from breaking the law. In this instance the body-cam video served a very different purpose. In response to Shaun King’s inflammatory post, the Texas Department of Public Safety reviewed all the footage–nearly two hours of body-cam video showing the entire traffic stop, and most of the booking procedure. “Following the arrest, spurious and false accusations related to this traffic stop were made against the Texas Trooper. 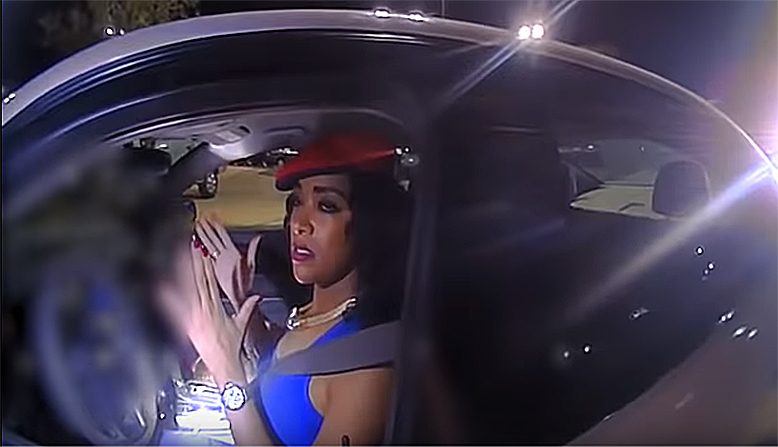 “Upon learning of those allegations, the Texas Department of Public Safety immediately took action to review the video in connection with this traffic stop and arrest. In fact, the video shows exactly the opposite of a bad cop abusing power. The video—with sound—proves that Hubbard was exceedingly professional, unfailingly courteous, and maintained control of the situation at all times without the slightest hint of intimidation. Hubbard evinced the perfect police officer demeanor—he was so sure that he was in control that even Dixon-Cole’s fiancé could not manage to create a confrontation when he tried to press Hubbard for details about the arrest. Indeed, Hubbard went out of his way to secure Dixon-Cole’s valuables and sort through them for her convenience. Dixon-Cole’s lawyer, S. Lee Merritt, Esquire, wrote a formal and quite contrite apology for the charges that were made. “The body camera footage released directly conflicts with the accounts reported to my office,” Merritt’s statement read. “Officer Daniel Hubbard seems to comport himself professionally during the duration of the traffic stop and arrest and—without more—should be cleared of any wrongdoing. It is deeply troubling when innocent parties are falsely accused and I am truly sorry for any trouble these claims may have caused Officer Hubbard and his family. On the other hand, there is the response of Shaun King—the person who originally posted the lurid lies that besmirched a truly decent law officer. King tweeted a terse “Today the Texas Department of Public Safety released this body camera footage of the traffic stop, field sobriety test, and subsequent arrest of Sherita Dixon-Cole. King made up a bunch of scurrilous lies and got every fact wrong—right down to Sharita Dixon-Cole passing a roadside breathalyzer test. The video from the police station ends with an offer telling Dixon-Cole, “Your breath came back just under the legal limit. Justice, it seems, was done after all—and the only injustices were committed by the people who claim to want to reveal the truth. One truth all this made clear—if you have to get arrested, hope it is by an officer as professional as Hubbard.